“Viva Pit Señor!” That’s what the people of Cebu City, Philippines, chant throughout the Sinulog Festival, held every third Sunday of January. It is the month when one of the grandest and most colorful festivals of the Philippines is celebrated. The Sinulog Festival is celebrated in honor of the Santo Niño, the Child Jesus, the Patron of Cebu and the Philippines and reminisces the time when Filipinos embraced Christianity in the 16th century. The word ‘Sinulog’ is from the Cebuano language adverb ‘sulog’. It means “the rippling of water or water current movement.” Its adaptation describes the forward-backward step movement of the Sinulog dance, performed by many during the Festival. The actual historic event, which the Sinulog Festival commemorates, occurred on 7 April 1521, when Fernando de Magallanes, a Portuguese navigator, landed on Cebu Island in the central Philippines and claimed the area in the name of the King of Spain. Until this date the Philippines practiced indigenous, Asian, and Islamic religions. Magellan gave the Santo Niño wooden statue to Rajah Humabon’s wife, Hara Amihan, as a baptismal present. Rajah Humabon was Cebu’s ruler at that time. In honor of Carlos the First’s mother, Juana, Hara Amihan’s name was changed to Queen Juana. 800 natives together with their rulers were baptized into Christianity. Unfortunately, shortly after the conversion, Magellan went into reckless adventure by fighting the reigning ruler of Mactan Island, Rajah Lapulapu, with only a handful of men. He was killed in the encounter on 27 April 1521. The remaining members of Magellan’s expedition returned to Spain to report the incident and the possibilities for conquest. It took 44 years before a new group came and began the conquest and formal Christianization of the islands. Miguel Lopez de Legaspi arrived in Cebu on 28 April 1565. His ships bombarded the native villages and inside one of the burning huts, a soldier named Juan Camus found a wooden box containing the Santo Niño statue. Historians say that during the 44 years between the coming of Magellan and Legaspi, the natives continued to dance the Sinulog. This time however, they danced it no longer to worship their native idols but as a sign of reverence to the Santo Niño. The original intact Santo Niño statue is now enshrined at the San Agustin Church (renamed Basilica Minore del Santo Niño) in Cebu City. The participants in the Sinulog Festival wear bright-colored costumes and dance to the music made by trumpets, native gongs, and drums. The streets are full of people eager to witness the beauty of the festival and to pay homage to the Santo Niño. The Santo Niño Sinulog Festivals are also held in other parts of the Philippines and in other countries around the world. Traditionally, the Sinulog Festival is celebrated for nine days. The ninth day culminates in the Sinulog Festival Grand Parade. A reenactment of the Christianizing of Cebu follows at the Basilica. A solemn procession is held in the afternoon along the city’s major streets. This usually lasts for hours due to multitudes of participants. A Pontifical Mass headed by the Cardinal is held at the Basilica. Bishops of Cebu assist in this event. Devotees and others populate the Basilica to attend the mass. Afterward, they all head out to the streets to witness the Sinulog Festival Grand Parade. This is the event around which the Sinulog Festival revolves. The main theme of the Sinulog dance is Queen Juana, with the Santo Niño in her arms, blessing the people that are ill, poor, etc, and needing the healing of Santo Niño. The Santo Niño Devotion is an important part of Filipino religious life and the Sinulog Festival is a time for joyful and colorful celebration. For a spectator on the street, it’s a beautiful scene to behold. But for participants doing street dancing, it’s a way to show their devotion to God. The Santo Niño Devotion is not a form of idolatry. The Child Jesus is one manifestation of Jesus, the Son of God, who died for us on the Cross, to save us and to offer us Eternal Life. 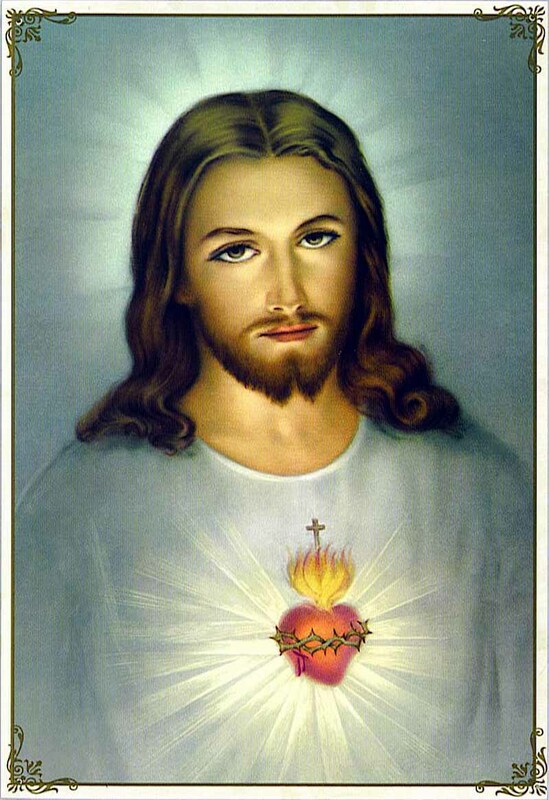 Other forms of Devotion to Jesus Christ include the Sacred Heart, Devine Mercy, Holy Name, and Eucharistic Adoration.